The Martians really did invade Earth in 1897? And again, in 1938? Venus really is a lush jungle planet, where dinosaurs still roam? Psionics are a reality? Crystal Technology an everyday fact of life? Rockets ply the spacelanes between Mars, Earth, Venus and the asteroids? 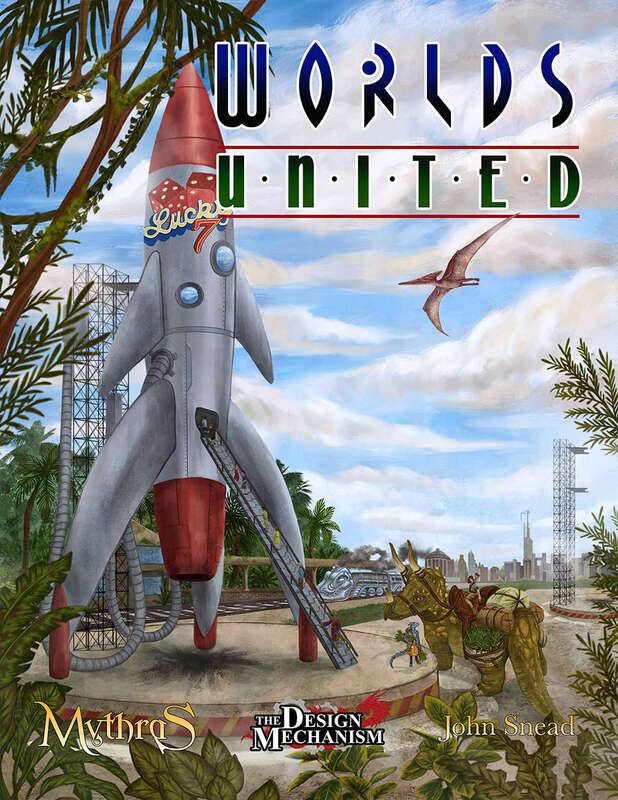 Fully compatible with Mythras, Worlds United takes you into a 1959 with rockets, rayguns, dinosaurs, and rip-roaring adventure. Based on the preview, this looks absolutely fantastic and I'll be purchasing the title once funds become available. Is it a 100% self-contained game book, or do we need the Mythras core book? It's not self contained, so you'll definitely need either Mythras core or Mythras Imperative. The former is better, as it contains the mysticism rules, which are referenced in 'Worlds United', but you can certainly run things perfectly well with the free Imperative rules. Ah, thanks for the info. Someone may want to update the product description to indicate that--I see it's "compatible with" Mythras but it'd be good to know it's actually required.